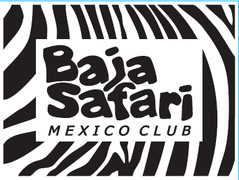 Important places and instructions for the Members of the Baja Safari Mexico Club. 10 Minutes from San Diego and 10 Minutes from Tijuana. Call 619-251-6005 for Member Reservations, 24/7 Baja Safari Member Services. Dedicated, private Off Road Track for Speed competitions. The only Mexico Travel Club Office in Baja South, Mexico. Across from the Home Depot at San Lucas, BCS. This is it! The Ranch where all the magic happens! Bad Mikes Baja Safari Ranch, BCS. : CABO 500 Finish Line! The Official FINISH LINE for the CABO 500, first begun on September 29, 2007. Also the same Finish Line of the 2007 Baja 1000, in mid-November.